Last year, we told you about perennial rockers UFO's latest tour announcement which seemed to circumnavigate most of the British Isles in support of the release of the band's 19th album, 'Seven Deadly'. Nothing unusual about that, you may think, but news of the band's continued renaissance has inspired Phil Mogg, Andy Parker and co to reconvene with more live action. That renaissance can be pinpointed by two key events - the band's first Top 75 album since 1985's 'Obsession' and Classic Rock Magazine has nominated 'Seven Deadly' for (cue trumpet fanfare) Album of the Year. Not bad for a group that has split from various members more times than a pair of biker's denims.  Oh and you can vote for UFO's album by heading to the magazine's website - but not before salivating over their 2013 tour! Following on from this year's spring jaunt (which pretty much sold out in most venues), UFO will be continuing to spread their 'Seven Deadly' glory with another clutch of UK dates which will start in Bath on 21st February 2013. Further shows will take place in Bournemouth, Portsmouth, Oxford and many more until winding up in London at the HMV Forum on 5th March. There is an emphasis on performing in different towns than 2012's jaunt and tickets are available now priced from £20.